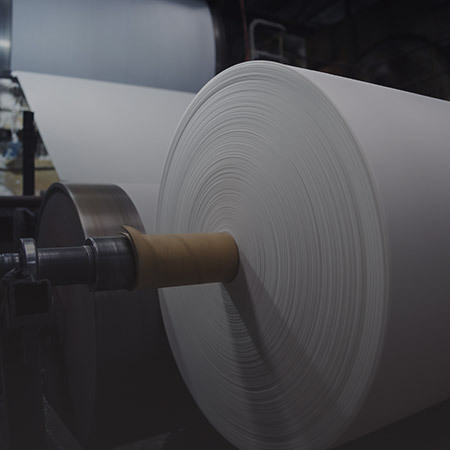 Every day, pulp and paper mill workers are faced with potentially harmful hazards: noise, vibration, dust, toxic products and heat to name but a few. MECART modular buildings are designed to protect operators from such harmful elements. The North American forest industry is an important one, and for over 40 years, one in which MECART has been an active supplier, providing acoustic control rooms, cabins and in-plant offices specifically designed to meet the needs of the industry. 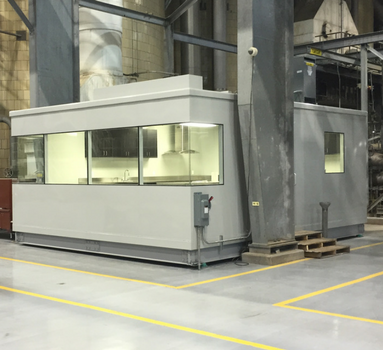 Today, our modular buildings can achieve an acoustic reduction of 25 to 70 dB, in addition to offering increased protection against vibration, dust, heat, humidity and chemicals. This is why MECART remains a major supplier of soundproofing solutions for the forest industry. Superior industrial soundproofing. We guarantee the acoustic performance of our modular buildings. Turnkey: we take care of everything from on-site measurements to the installation of your modular building. Customized Design: our products will meet your plant requirements, particularly in terms of visibility, soundproofing, wall integrated utilities, vibration damping system, temperature/humidity control and resistance to specific chemicals. 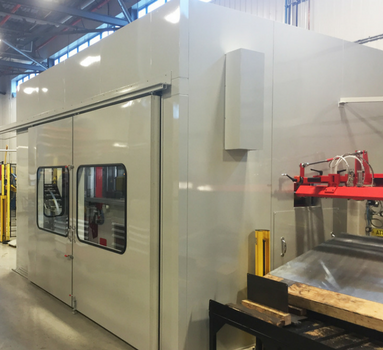 Fast Track Installation: the modular panels of our buildings can be preassembled at our factory or delivered and assembled on site quickly, day, night or weekend, minimizing the impact on your operations. Heavy Duty: with its industrial grade quality, MECART solutions come with a 25 year+ guarantee of durability and this, maintenance free. Our control rooms allow supervisors to manage operations without being inconvenienced by noise or hazardous products. 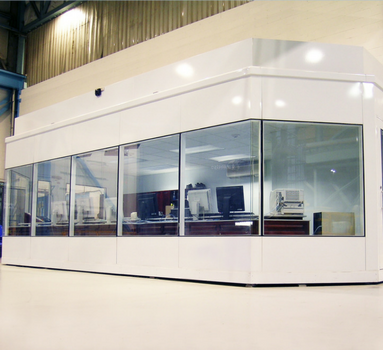 In order for employees to have an overview of surrounding equipment, our control rooms can be equipped with bay windows in several configurations, while maintaining high acoustic performance. MECART enclosures, screens and acoustic panels protect workers in the forest industry from noisy machinery and equipment. They are tailor-made and to meet operations and equipment maintenance requirements. The use of a laboratory in the forest industry is standard practice to ensure quality control. MECART designs wet or dry laboratories, or any other type of testing or quality control laboratory where accurate control of temperature, humidity, or air quality is required. MECART laboratories can also be soundproofed if the laboratory is located close to production areas. 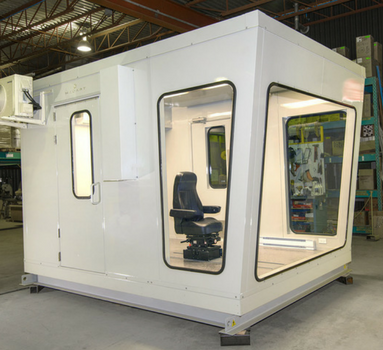 Whether it is to provide a quiet in-plant office space, a pleasant area for meals or meetings, our modular buildings can isolate employees from noise and other production zone hazards. With process automation, employees can often control operations remotely from the comfort of their cabin. 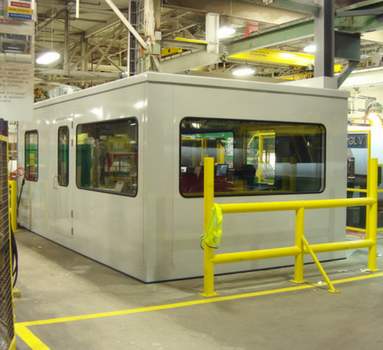 MECART operator cabins can be located near noisy or dangerous equipment.